At just $35, Google’s Chromecast streaming stick is the budget-minded choice for getting web-based content on your TV. 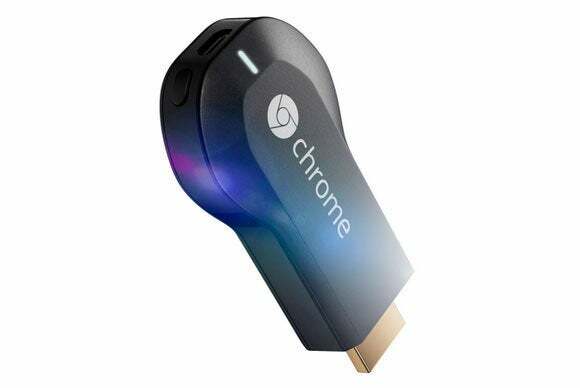 A number of popular streaming services support the Chromecast, including Netflix, YouTube, MLB.TV, and most recently Redbox Instant. More are trickling out all the time: we recently heard talk about Slingbox signing onto the service, for example. Still, competing media streamers like Roku and Apple TV offer more, such as ABC, Disney, ESPN, the NBA and NHL, PBS, and Vimeo, among others. Why don’t these services work with Chromecast—especially when many of their own competitors do? Google-owned YouTube supports Chromecast, and rival Vimeo plans to as well. You can already cast Vimeo from your computer’s Chrome browser using the Google Cast extension, but it’ll be better when a convenient Chromecast button is built right into Vimeo’s mobile apps. Two streaming services expressed vague desires to support Chromecast without going so far as to say they definitely would. The first was Beats Music. That doesn’t really answer the question, but competitor Rdio is on Chromecast, and Spotify has a weird workaround, so Beats should get moving. Cookie Monster is waiting so patiently for Chromecast support, PBS! Our third category—basically a “no comment”—was the most popular, unfortunately. 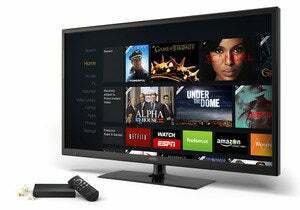 Take Amazon Instant Video, which is “available on hundreds of devices, including Fire TV, Kindle Fire tablets, iPad, iPhone, iPod touch, Mac, PC, Roku, Xbox, PlayStation, Wii, and connected TVs and Blu-ray players,” said Sally Fouts, Amazon’s senior PR manager. Glad to hear it, Sally; now what about putting Amazon’s content on Chromecast? “I can’t speculate on what we may or may not do in the future,” she replied. Now that Amazon's got its own Fire TV set-top box, it might not be so worried about bringing Amazon Instant to Google's streaming stick. She’s not alone. “We don’t have anything to announce right now regarding Chromecast or other OTT platforms,” said Morgan Seal, CBS Interactive’s senior manager of communications. “We do offer full episodes on demand via our CBS app on Android, iOS, BlackBerry, and Windows 8.” Which is why Chromecast support would be so welcome—we're ready to watch those full episodes and all the ads they contain on our big TVs! As for Disney? Well, it’s not on Chromecast directly, but the Mouse apparently already has things covered. “Our content is available via the Google Play Movies & TV app,” said Bridget Osterhaus, director of communications at Disney-ABC Domestic Television. “In addition to Google Play, there are also Disney movies available through YouTube.com/movies." Both of those apps let you cast that Disney content to your Chromecast. Chromecast is off to a great start, but more apps would make it even more attractive. We’ll continue to keep a close eye on the platform and let you know as its remaining holes are filled with delicious streaming entertainment.